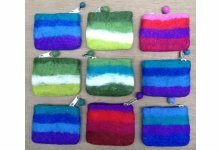 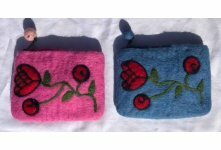 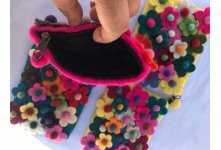 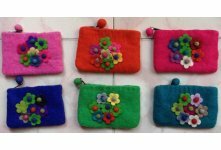 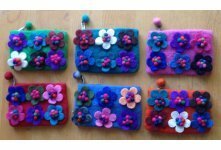 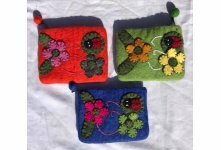 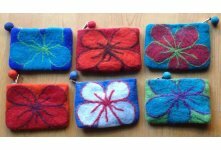 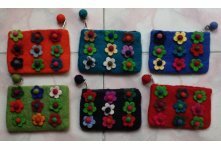 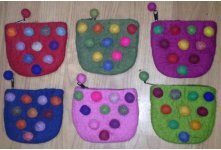 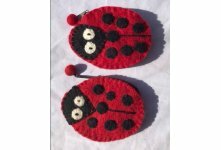 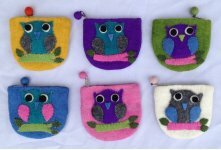 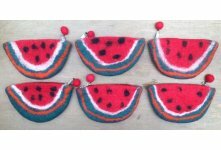 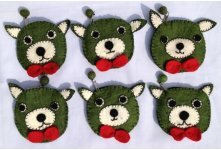 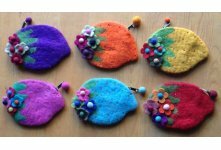 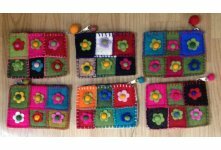 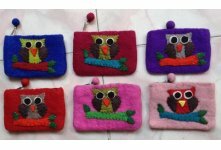 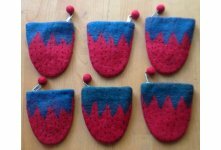 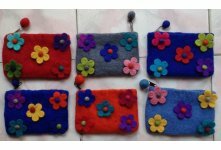 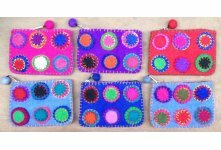 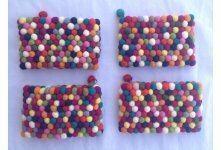 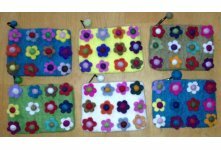 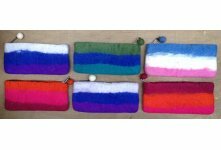 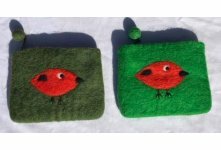 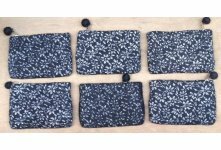 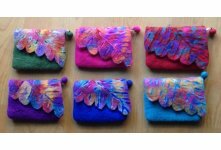 Handmade felt coin purse made from 100% wool. 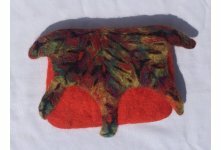 Flap and inner zipper inside. 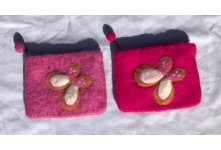 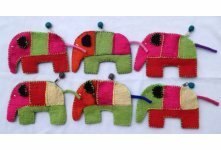 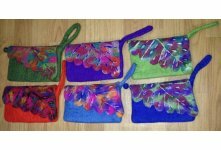 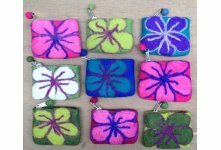 Felting them in with soap and hot water then cutting out the leaf pattern. 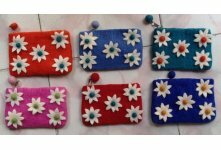 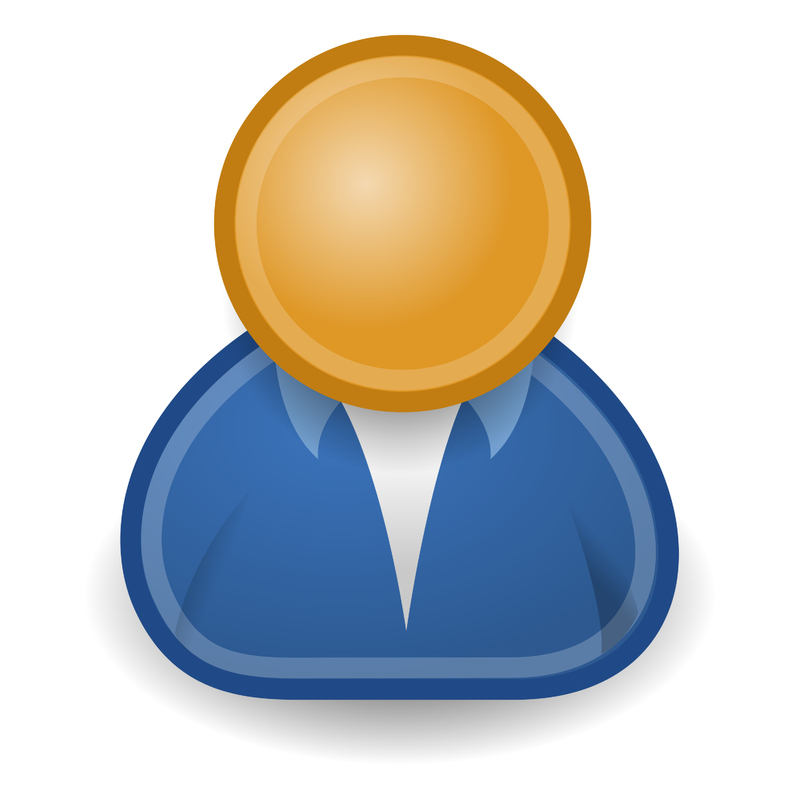 Available in varies colors.